A primary objective of the EarthScope program is to image crustal and upper mantle structure beneath North America at multiple scales as a starting point for quantifying dynamic Earth processes and the continent’s geologic history and plate tectonic context. Another major objective is to analyze seismic sources, from microearthquakes to large ruptures, to understand the fundamental nature of earthquakes and their relationship to volcanic and tectonic events. Seismology provides one of the most important geophysical tools for imaging subsurface structure and recording earthquake signals. The USArray observatories comprise the principal seismological effort of EarthScope, although all EarthScope components involve seismological data acquisition. In addtion, USArray includes a magnetotelluric observatory for measuring the conductivity structure of the Earth's crust and upper mantle. The suite of instrumentation used by USArray is documented in both general descriptions and with detailed metadata that are provided with the data. 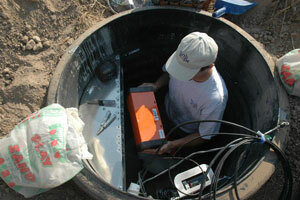 All data collected by USArray are distributed openly and without restrictions to the public and researchers worldwide. A variety of scientific and programmatic publications are available to document program activities. It is possible for organizations with an interest in the long-term operation of seismic stations to "adopt" individual TA stations. 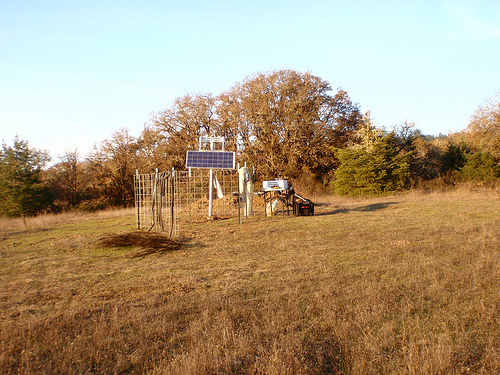 The adoption of stations is strongly encouraged, as it enhances the the permanent seismic station coverage in the United States.